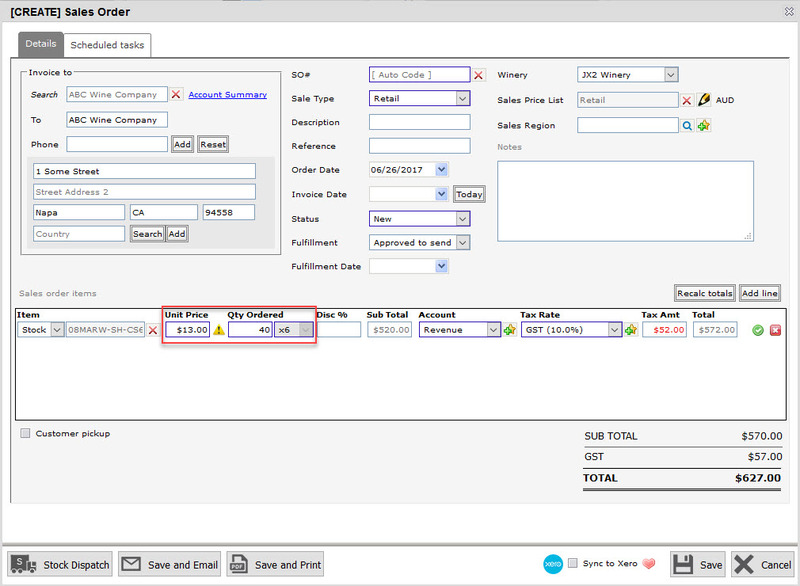 With the introduction of Sales Orders, a Sales Price List was added to give you the flexibility to charge different amounts for your goods based on individual customer, vintage year or even type of sale i.e. retail versus wholesale. To create/edit a Sales Price List in Winery Setup navigate to Sales – Sales Price lists. 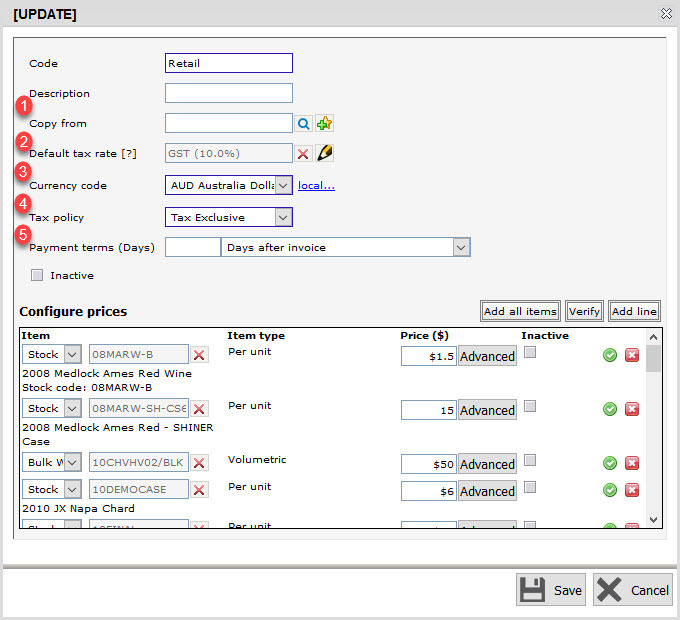 Click on New Price list.. to create a new one or click on an existing one to update. 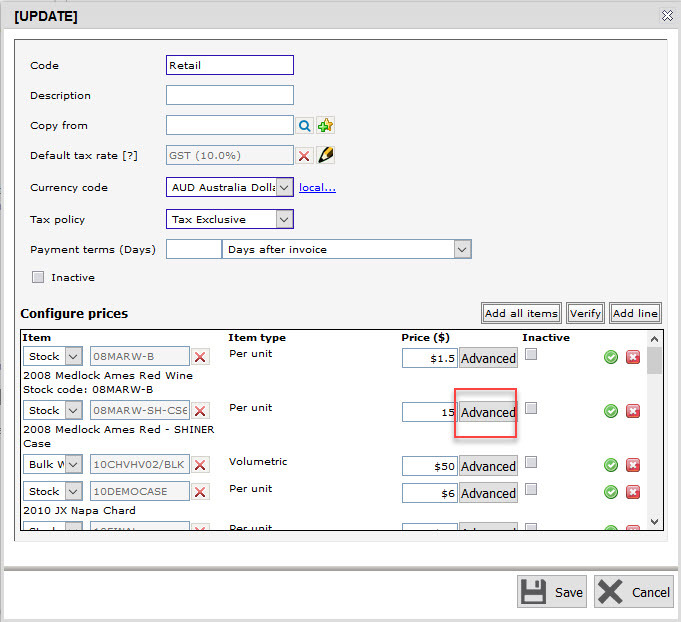 Copy from – allows you to copy the prices from an existing price list. You can setup a master price list and use this field to load that into a new price list. Default tax rate – default tax rate of items added to a Sales Order from this Price List. Click here for more information on how to configure tax rates. Currency Code – currency the price list is being billed in. Tax Policy – indicates whether the items listed are Tax Inclusive or Tax Exlcusive in terms of the price entered. 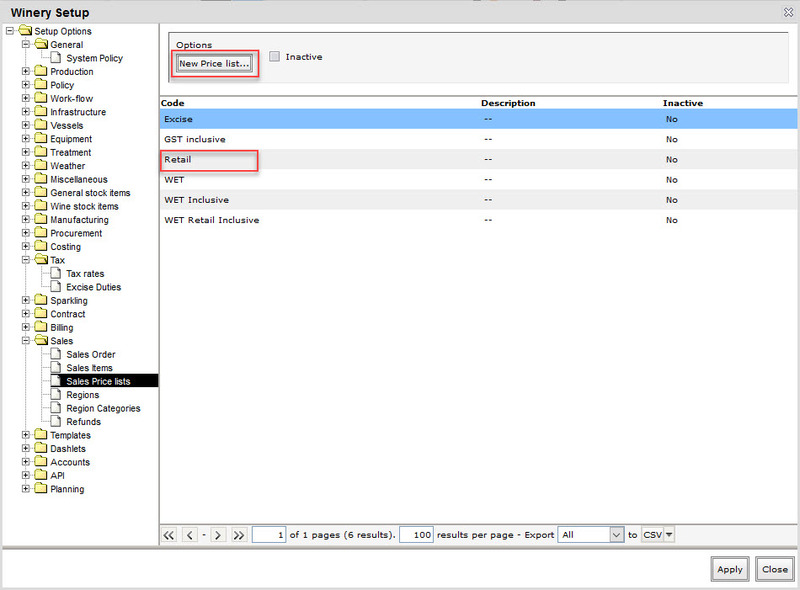 Payment terms – the payment terms will show on the invoice based on the days specified in this setting. If Xero integration is enabled this information will be sent across to the invoice generated in Xero. Click here for more information on configuring Xero integration. If you want to set different prices for different quantities ordered for a certain item in the price list, you can override the default price by clicking on the Advanced button. 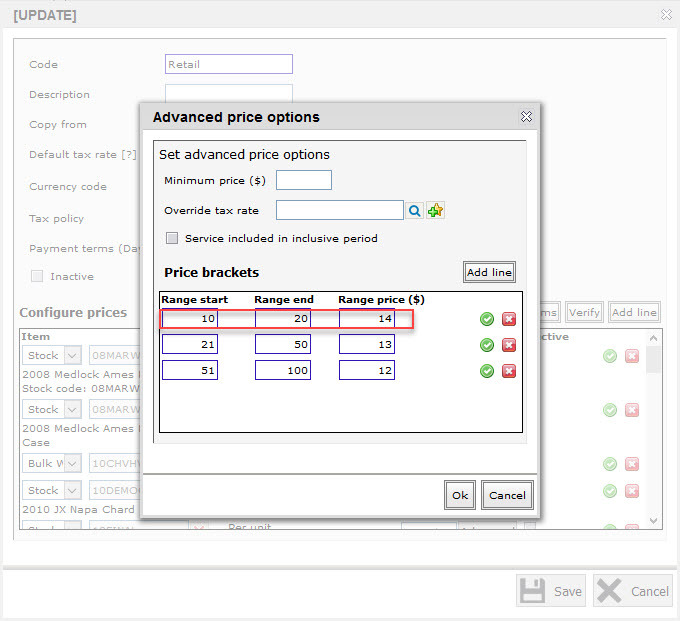 In the Advanced price options, enter the Range start, Range end, and Range price. In the example below, we have entered different prices for the different quantity ranges. When you use the price list in a sales order and enter the stock item, it will pick a price based on the Qty ordered you have entered. In the example below, we have entered Qty ordered as 40, so the price of $13 was automatically dropped in based on the price bracket we have previously set.